Welcome to a joint seminar hosted by MEPs Jens Nilsson (S&D) and Merja Kyllönen(GUE/NGL) and organised by the Finnish, Swedish, and Norwegian regional EU offices around the Gulf of Bothnia – in cooperation with the Bothnian Corridor project! 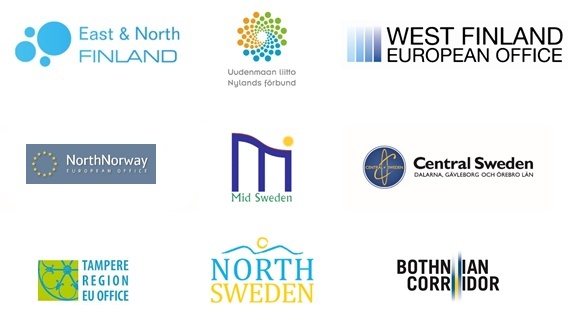 MEPs Jens Nilsson and Merja Kyllönen, together with S&D and GUE/NGL, wish to invite you to a discussion on the future of the TEN-T Core Network Corridors – Tapping the potential of the North. Northern Finland, Northern Sweden and Northern Norway are located in the middle of the new global crossroads East-Westbound and North-Southbound with major infrastructure challenges and opportunities. The infrastructure in the concerned regions connects the northern part of the Northern Axis with the Scandinavian-Mediterranean Corridor and the North Sea-Baltic Corridor. The main railway sections are part of “Other part of the Core Network” as specified in REGULATION (EU) No 1316/2013. The regions have a long tradition of mining, forestry and fishery activities. North Sweden accounts for 90 percent of the iron ore production in the EU and together with Finland supply substantial amounts of other necessary critical minerals for the European industry, e.g. copper, gold and lithium. Norway is the main supplier of fish and aquaculture products to the EU, providing 23% of all imported seafood. In 2016, around half of these products, worth 2-3 billion euros, originated from the Arctic regions of Norway. More than 25% of global oil and gas reserves are located in the European Arctic as well as 70 percent of the forest area, which comprise the main source of wood for pulp, paper, timber and biomass in Europe. The connection between Northern Finland, Northern Sweden and Northern Norway forms a vital route of international trade in the production of iron ore, minerals and other industrial production, fisheries and aquaculture, vital for the EU economy. The accessibility to the EU core markets for raw materials requires functional rail and maritime connections; therefore securing the timely implementation of the current TEN-T Core Network is crucial. A functional transport system in the northern regions is necessary for the transnational flow of goods within and to/from the EU, contributing to the proper function of the Internal Market. The S&D and GUE/NGL would like to invite you to a discussion on the future of the TEN-T Core Network Corridors and their importance to induce regional development, to improve the conditions strengthening industrial competitiveness and to contribute to environmental sustainability and to the goals of the COP21. What are the necessary next steps to ensure the full implementation of the Core Network by 2030? Please register online no later than October 11, 2017.